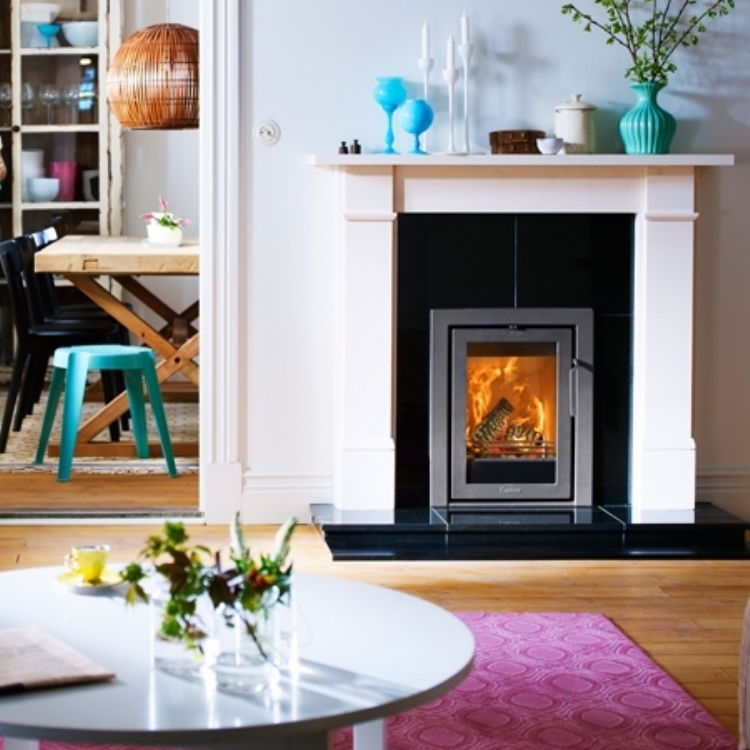 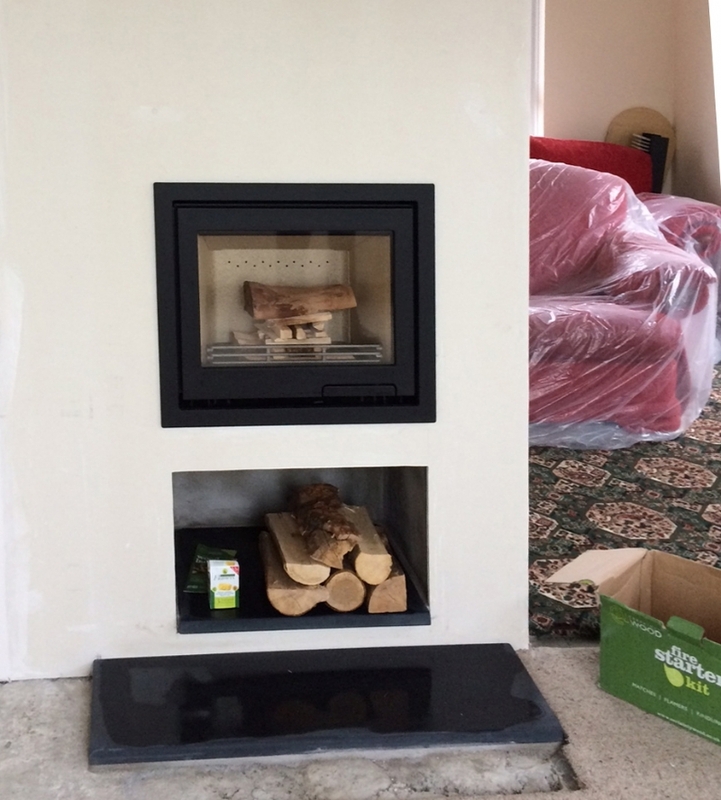 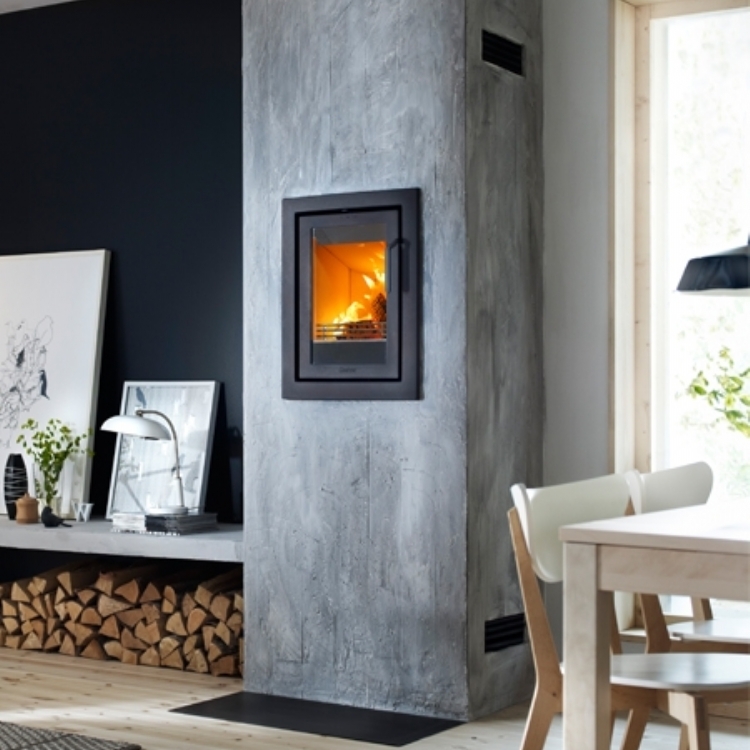 Contura i6 with log store wood burning stove installation from Kernow Fires. 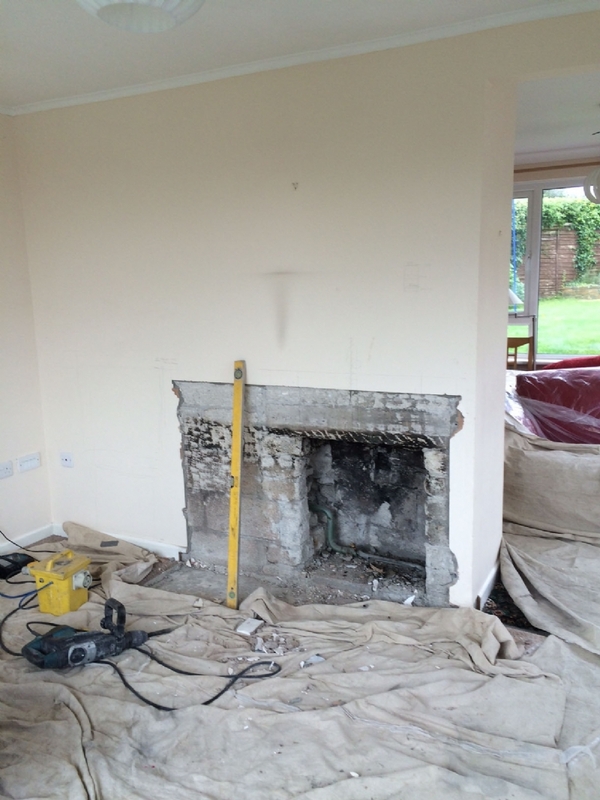 The original fireplace was sat on the floor so the first thing required was to move the lintel and open up the fireplace, creating room for the fire higher up the wall. 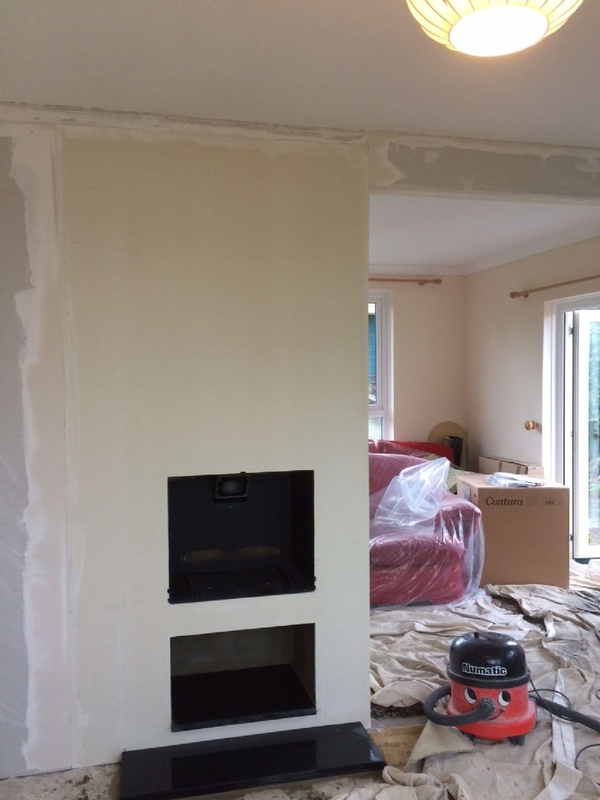 Once the opening was large enough, the log store was created and the wall finished to a smooth plaster ready for painting. 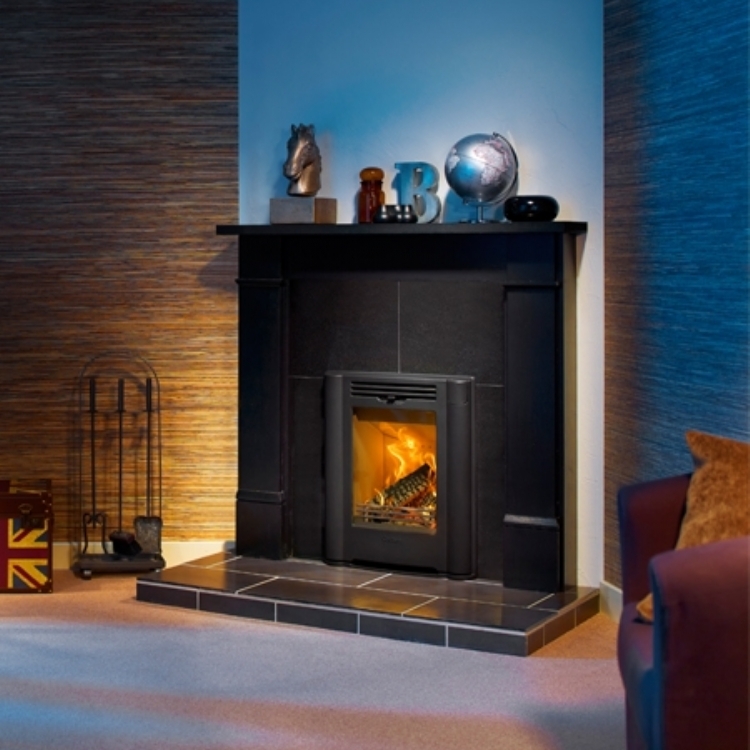 The fire was installed and the honed slate hearth was made to order.